Author/Opus: This is the 315th puzzle from Thomas Snyder, aka Dr. Sudoku. 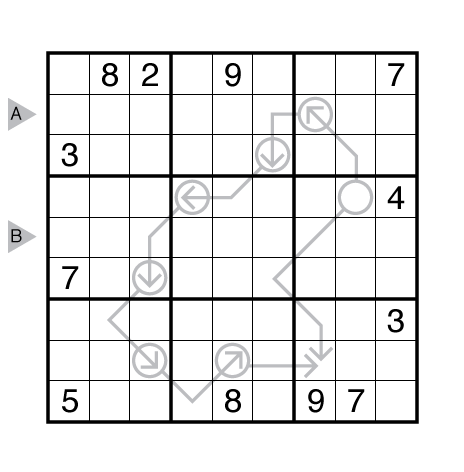 Author/Opus: This is the 113th puzzle from our contributing puzzlemaster Serkan Yürekli. Answer String: Enter the 2nd row from left to right, followed by a comma, followed by the 5th row from left to right. Theme: Diagonals (two more than yesterday!). 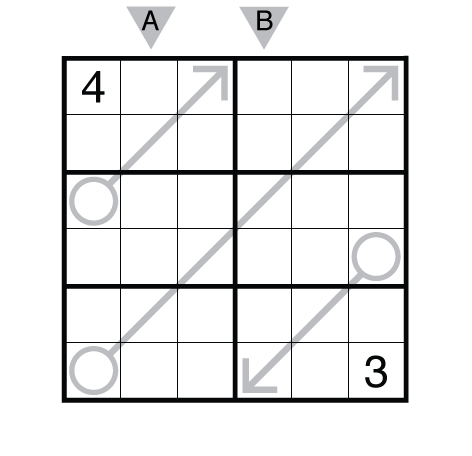 Rules: Standard Arrow Sudoku rules. Range is 1-6. Answer String: Enter the 2nd column from top to bottom, followed by a comma, followed by the 4th column from top to bottom.